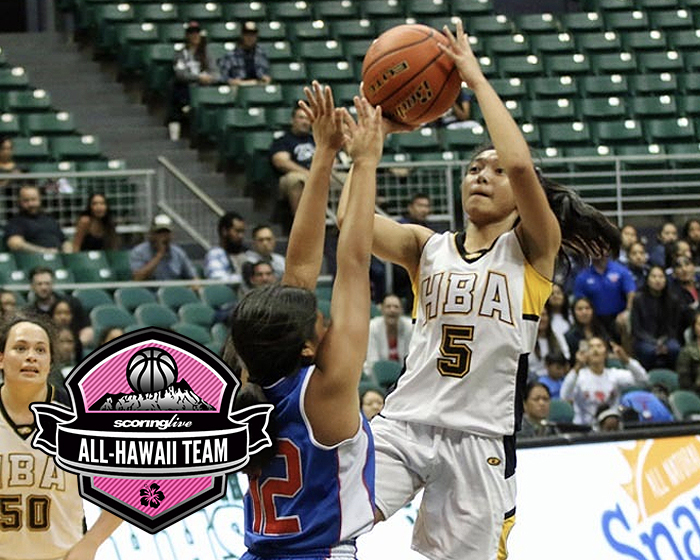 Player of the Year: Alexis Dang, Hawaii Baptist, G, Jr.
She was never shy in the big moment either. 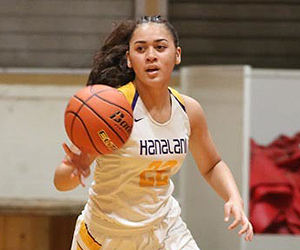 In the ILH championship game against Hanalani, Dang scored a season-high 15 points with eight rebounds and four assists and helped stave off a second-half rally by the Royals by scoring or assisting on all of the Eagles' baskets in the second half. 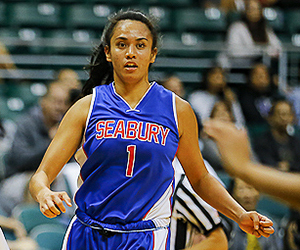 In three state tournament games she recorded 10 steals, which included an inbounds play late in the fourth quarter of the state championship game to seal the title in a 43-39 win over Seabury Hall. 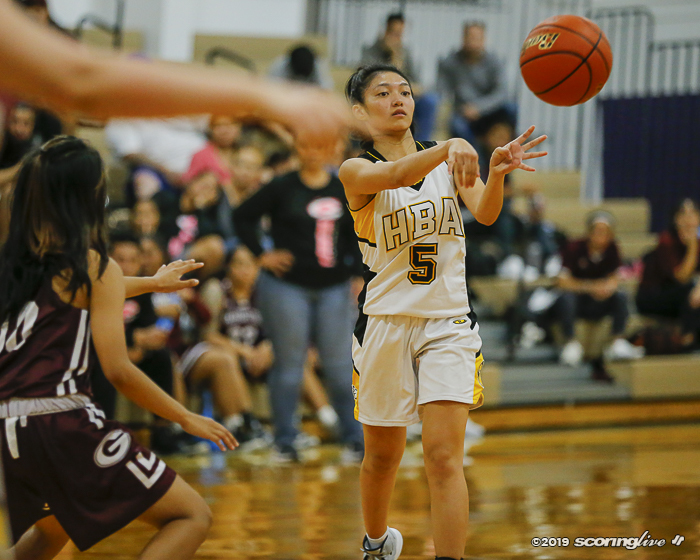 Dang also made a pair of clutch jumpers to give HBA leads of 17-14 and 35-32 in a back-and-forth affair against the Spartans. 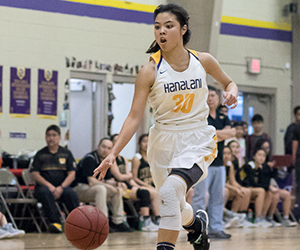 "She makes the plays like any great point guard," Kitamura said of Dang. 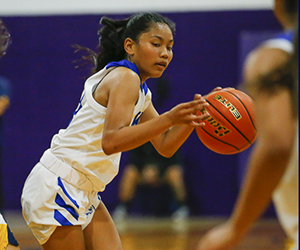 "She creates opportunities for her teammates with good drives and passes, and she gets to every loose ball, plays great defense. 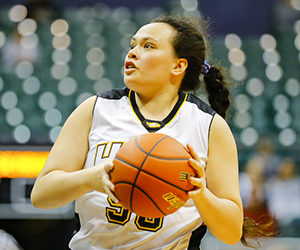 She shuts down the other team's best ball-handlers. 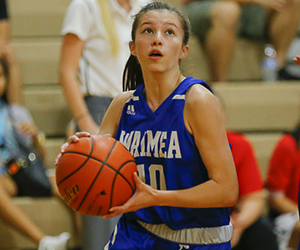 She doesn't score the most, but she makes all the big shots, just like she did in the state championship game, and she rarely ever turns it over. For a high school player that's rare." 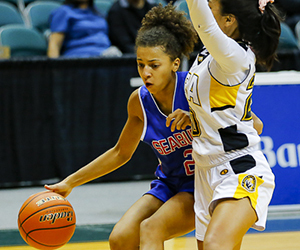 Dang, who was the state tournament's most outstanding player, had just one turnover in each of the Eagles' three tournament games. 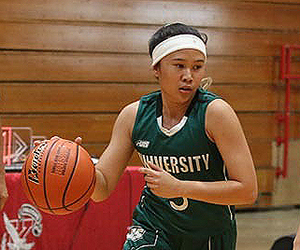 She was also selected as the league's most valuable player. The Hawaii Baptist coaching staff deserve credit for keeping the program afloat through unprecedented circumstances. Robin Yamaguchi and company took over the team midseason when head coach Keith Sugiura had to step away from the team for medical reasons. 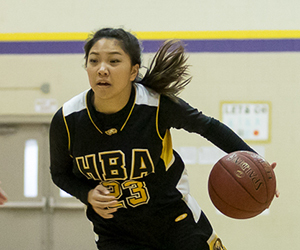 According to HBA athletic director Deren Oshiro, Yamaguchi and the assistants took over on Dec. 20 of last year. 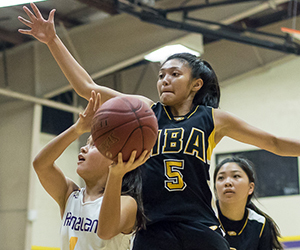 The Eagles dropped their next league contest against University Lab on Dec. 22, and a non-league game to Laguna Hills on Dec. 26, but they found their groove right after and rattled off 13 wins on the court en route to the program's second state title in four years.